In just a few short weeks, 2010 begins — the dawn of a new decade. The question now is: Who’ll be leading change in and around government contracting? We’ve got a few suggestions. Career history: Early in his career, Baker helped grow and sell three software companies. Between 1998 and 2001, he served as CIO at the U.S. Department of Commerce, then held key executive roles at CACI International, General Dynamics Information Technology, and Dataline LLC. Alma mater: Baker holds a B.S. in Computer Science and an MBA from the University of Michigan. Back in May, Roger Baker was confirmed as Assistant Secretary for Information and Technology for the Department of Veterans Affairs — an organization with 6,500 IT professionals and a budget of over $2.5 billion. It wasn’t long before Baker spearheaded a massive overhaul of IT projects. In July, Baker halted 45 IT projects that were more than a year behind schedule or more than 50 percent over budget. The catalyst was a new metrics-driven project management initiative, the Project Management Accountability System. In Baker’s view, being “completely inflexible” on project benchmarks is the key for both the VA and contractors to stay on track. Under Baker’s watch, the VA is now backing another major IT effort: the Transformation Twenty-One Total Technology program, or T4. The VA has proposed awarding a multivendor contract for services and hardware for “requirements that span across the entire spectrum of existing and future technical environments, systems, lifecycle and applications.” How much T4 will cost is still unknown, though, as InformationWeek reports, Baker has said that much of the agency’s $3.3 billion 2010 IT budget could be outsourced. How will Baker continue to drive IT project efficiency — and tap industry support along the way? Career history: Most recently served as Corporate Senior Vice President and President Federal Systems, Unisys. Personal: Baroni is a vegetarian, loves the Oakland Raiders and the number “seven,” is the proud father of six, and lives in Potomac, Md. When Greg Baroni left Unisys a little over a year ago, everyone wondered what his next move would be. Baroni has since founded a professional services company, Eclat — literally, “brilliance of success.” “Our success is defined by the brilliance of our clients’ success,” says Baroni. With a public sector focus, Eclat delivers a broad range of services across federal, state, and local, higher education, and nonprofit markets. The company already has a robust pipeline and industry experts, thanks to its August 2009 purchase of BearingPoint’s remaining public sector assets. Through that transaction, Eclat acquired nearly 200 people and approximately 100 contracts. “We’ve challenged ourselves to leverage this initial platform from BearingPoint, and build a professional services company that achieves $500 million in revenue in five years,” says Baroni. Strategic projects include the U.S. Army Reserve Component Automation System (RCAS) project, which connects 10,500 Army National Guard and U.S. Army Reserve units at approximately 4,000 sites worldwide; an outsourcing initiative with Northrop Grumman and the County of San Diego, California; and a grants management outsourcing contract with Cedars-Sinai Medical Center. In 2010, expect the company to keep up the pace with a new name — and this vision from Baroni: “We plan to grow organically and through acquisition, tripling our size as we exit 2010,” he says. Will Baroni meet his goal? Career history: Bush joined Northrop Grumman in 1987; most recently served as president and COO. Alma mater: Bush earned his bachelor’s and master’s degrees in electrical engineering from MIT. Personal: Bush is a native of West Virginia. Wes Bush is set to kick off 2010 with a brand new role: chief executive officer and president of Northrop Grumman, the third largest U.S. defense contractor. Bush takes the reins from Ron Sugar, who recently announced his plans to retire after 29 years of service at the company. Bush has longstanding roots at Northrop, too. Since joining the company in 1987, he has served in a variety of positions: sector president, chief financial officer, and, most recently, president and chief operating officer. Now it’s time to fill Sugar’s shoes, which left a pretty big imprint. During Sugar’s tenure, Northrop Grumman expanded sales from $26 billion to nearly $35 billion. Sugar leaves the company now as it braces for a rerun of a $35 billion competition against Boeing to build new refueling airplanes for the Air Force. The company has also been making headlines with its sale of TASC, a government consulting unit to a group of investors for $1.65 billion. How will Bush steer Northrop amid an evolving OCI definition? Will Bush also succeed in accelerating a drive to improve performance across the entire company in intelligence and reconnaissance, unmanned systems, and cyberwarfare? Career history: Most recently served as Virginia Secretary of Technology under Governor Tim Kaine; beforehand, was managing director with the Advisory Board, a Washington-based healthcare consultancy. Personal: Married with two daughters; Chopra’s also a fan of the Pittsburgh Steelers and Johns Hopkins lacrosse. As the nation’s first-ever chief technology officer, Aneesh Chopra is charged with driving innovation policy on a government-wide scale. “Aneesh will promote technological innovation to help achieve our most urgent priorities, from creating jobs and reducing health care costs, to keeping our nation secure,” said Obama, in announcing Chopra’s appointment back in April. Chopra had already been doing just that on a state level. Virginia was the first state to have a Secretary of Technology. In that role, Chopra leveraged technology and social media tools to improve education, health care, and broadband access in rural areas of the state. Since his appointment as Federal CTO, Chopra has been leading the way across government. Most recently, he led the launch of Federal Register 2.0, which allows the public a digital view of the inner workings of government. Chopra has also been championing the return of the United States as an innovation leader. “We are still an innovation machine,” he recently said. Healthcare IT and the smart grid are two areas to focus that innovation, he says. 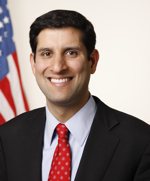 Most critically, on Tuesday, Dec. 8, Chopra and Federal CIO Vivek Kundra, announced via a webcast the Open Government Directive, which proposes to move federal agencies toward greater transparency. How effective will Chopra’s call for transparency — and innovation — unfold in 2010? Career history: In 1999, Curtis joined Vangent (then known as NCS) as vice president and general manager of the Government Services Division; in 2000, NCS was acquired by Pearson, PLC, and Curtis became president and CEO of Pearson Government Solutions; with the Veritas purchase of Pearson Government Solutions in 2006, Curtis continues as president and CEO. Alma mater: B.S. in civil engineering from Virginia Military Institute. Personal: In addition to spending time with his family, Curtis enjoys outdoor sports such as running, surfing, and skiing. Career history: Under the Clinton administration, Flournoy served as Department of Defense official. In the intervening years, Flournoy worked as a senior adviser at the Center for Strategic and International Studies and president of the Center for New American Security. She was also a professor at the National Defense University and served on a working group on a quadrennial review of defense policies. Alma mater: Holds a bachelor’s in social studies from Harvard University and an MLitt in international relations from Oxford University. Personal: Flournoy is a 1979 graduate of Beverly Hills High School who spent her summers playing “a lot of beach volleyball.” Today, Flournoy is mother to three children, and lives in Bethesda, Md. She’s one of the highest-ranking women in the Pentagon’s history. Earlier this year, Michele Flournoy was tapped undersecretary of defense for policy — a role in which she’s since demonstrated strategic vision and pragmatism. Flournoy is no stranger to Capitol Hill. She served in the Clinton administration, and made her mark drafting a blistering analysis of the administration’s failures in Somalia. These days, Flournoy is bringing that same critical insight to other international issues. Like Guantanamo Bay. And North Korea. In June, Flournoy traveled to Seoul to discuss an agreement in which the United States guaranteed the nuclear umbrella for South Korea against a nuclear-armed North Korea. Afghanistan is another critical focus. Over the summer, Flournoy backed a civilian surge of roughly 400 new experts in the country. Flournoy has also worked to restore comprehensive military relations between the United States and China after an 18-month hiatus. Most importantly, Flournoy is overseeing a sweeping military strategy reassessment, Quadrennial Defense Review, which Congress requires the Pentagon to produce every four years. The report, which will outline potential new military strategies for the U.S., is due before Congress in early 2010. 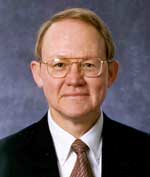 Career history: Gallagher came to NIST Center for Neutron Research in 1993 to pursue research. Alma mater: Gallagher holds a doctor in physics from the University of Pittsburgh. 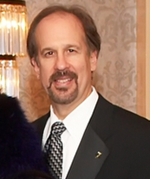 Personal: Gallagher is a native of Albuquerque, N. M., and currently lives with his wife and three sons in Olney, Md. Physicist Patrick Gallagher is heating things up over at NIST. Ever since its establishment in 1901, the National Institute of Standards and Technology (NIST) has been known for crucial research in measuring and standards setting. That’s changing under Gallagher. 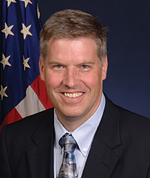 In November, Gallagher was confirmed as the 14th director of NIST — a role that had remained vacant since William Jeffrey’s departure in 2007. The 46-year-old Gallagher arrived at NIST in 1993 to pursue research in neutron and X-ray instrumentation and studies of soft-condensed matter systems. Today, Gallagher is leading the agency, which employs nearly 3,000 scientists, engineers, technicians, support staff, and administrative personnel at its two main locations, in Gaithersburg, MD, and Boulder, CO, toward “critically important” work in research and standardization of healthcare IT, smart grid, and cybersecurity, among others. “NIST has never been asked to perform such significant, high visibility roles as it is now — its day has come,” says Gallagher. In an increasingly networked world, NIST’s responsibilities are growing. So, how will Gallagher guide the agency toward addressing smart grid and other headline grabbing issues in 2010? Career history: Most recently, served as acting general counsel at the Government Accounting Office since 2006. Alma mater: Gordon has a law degree from Harvard Law School. He also graduated from Oxford University and Brandeis University. Personal: Gordon’s hobbies include reading French novels and studying Chinese. He’s one of the key players in reforming the federal government’s contracting system in 2010 and beyond. In October, President Obama picked Dan Gordon to head the Office of Federal Procurement Policy — a choice recently approved by the Senate Homeland Security and Government Affairs Committee and confirmed by the full Senate in late November. Gordon now reports to Jeff Zients, deputy administrator in the Office of Management and Budget. Gordon has stated that one of his objectives is to strengthen the acquisition workforce. “Our procurement budget has increased dramatically in the past decade, yet the growth in the workforce has not kept pace,” said Gordon recently. Gordon also wants to improve the government’s methods for procurement planning and contract management. Plus, he’s also set on navigating tricky acquisition issues, such as small-business contracting, automated contract writing, as well as the definition of inherently governmental functions. Some senators, as well as government contractors, want Gordon to come up with a more solid definition. Will Gordon succeed? Career history: Hamre served as Deputy Secretary of Defense from 1997 to 2001 and Undersecretary of Defense from 1993 to 1997. Personal: Wood carving is a personal hobby of Hamre’s. Earlier this year, word had it that John Hamre would be a contender for a top position within the Obama administration. The rumors didn’t pan out, but Hamre has still retained his influence. 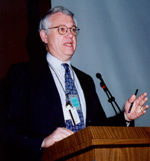 Away from Capitol Hill, on K Street, Hamre serves as president and chief executive officer of the Center for Strategic and International Studies (CSIS), a bipartisan, nonprofit organization that provides strategic insights and policy solutions to decision makers in government, international institutions, the private sector, and civil society. Take a look at any day’s news stories, and you’ll see CSIS thought leaders quoted on everything from defense to cybersecurity. Hamre holds much of that credit. Since taking on the role of CSIS president in 2000, Hamre has led the foreign policy think tank toward a central mission: guarding against “groupthink.” Hamre has led the way with insights into defense spending and budget constraints; counterterrorism; and U.S. direction in Iraq. With additional issues looming on the horizon — a growing US presence in Afghanistan, global health, and climate change — we can count on Hamre and CSIS to provide additional insights in 2010. Career history: Most recently served as chief operating officer and member of the board of directors for BAE Systems plc; and president and chief executive officer of BAE Systems Inc., the company’s wholly owned U.S. subsidiary. Personal: Havenstein is known as a “good guy” among industry colleagues. He heads Science Applications International Corporation (SAIC), a Fortune 500 company with more than $10 billion in annual revenue. Havenstein stepped into his new role this past June, having wrapped up a nine-year career at BAE Systems plc, a $34 billion global aerospace and defense company where he most recently served as chief operating officer and member of the board of directors for BAE Systems plc; and president and chief executive officer of BAE Systems’ US business. 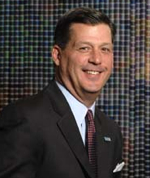 Now, hopes are riding high that Havenstein will bring a strong growth record to SAIC. Serving as a driver for local economic growth is one area of focus. Recently, the company moved its headquarters from San Diego to McLean, Va. To help finance its relocation, the federal IT company will get $1.5 million from the Governor’s Opportunity Fund and $7 million from the Virginia Economic Incentives Program. That public investment is dependent upon SAIC — already the fourth-largest employer in the Washington, D.C. metropolitan area — creating 1,200 jobs in Virginia over the next three years. Where will Havenstein take SAIC along the way? Career history: Hillen began his professional career as an Army officer, and served 12 years in both the regular army and the reserves. After the Army, Hillen went into policy, wrote several books and dozens of scholarly articles, and worked at several think tanks before focusing on business. 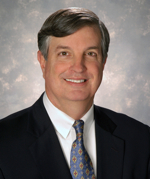 Global Defense Technology is the 5th business where Hillen served as the President, COO, or large division head. Alma mater: Hillen received his bachelor’s from Duke University, his master’s from King’s College London, his doctorate from the St Antony’s College, Oxford, and an MBA from Cornell University. Personal: A young Lt. John Hillen is featured in the recent book on Desert Storm, Warriors Rage, by Douglas Macgregor. It’s been a three-year IPO drought for government contractors — until John Hillen, former assistant secretary of state for political-military affairs, recently broke it. 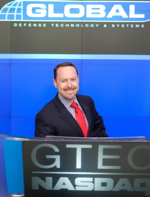 In November, Hillen made his company, Global Defense Technology & Systems, Inc., the first IPO of 2009. It’s the first of many IPOs that industry experts say are lining up as the markets recover, and for Hillen, one of several bold steps he’s taken since joining Global, a provider of defense and intelligence technologies to the national security community, in August 2008. “ In November the New York Times ran an article about mid-sized defense technology companies that said second-tier defense contractors focused in information technology and intelligence applications will probably do well in the emerging military market. We agree and attribute the double digit growth we’ve had year in year out over the past five years to that market dynamic in general, and our mission solutions in particular,” says Hillen. Now Hillen is keeping the momentum going with Global’s IPO. Shares of the company opened at $13.05 — five cents above the IPO price. Will Global continue its strong showing into 2010? Current: Chief Operating Officer, BAE Systems plc, and President and CEO of BAE Systems, Inc.
Career history: Hudson began her career at Harris Corporation in Melbourne, Florida as an engineer. Along the way, she moved into critical roles at companies including Ford Aerospace, Martin Marietta Corporation, and General Dynamics before coming to BAE Systems. Alma mater: Holds a bachelor’s degree in Systems Engineering from University of Florida. Personal: Hudson has one daughter and three grandchildren; her son-in-law is on active service with the U.S. Marine Corps. Hudson also enjoys international travel. She’s the first woman to head a major U.S. defense company. In October, Linda Hudson, 59, was tapped to lead BAE Systems’ U.S. operations, which employees 55,000 workers and generates annual sales of about $20 billion. Hudson was also tapped executive director and chief operating officer of the parent company — a strong ascent since joining BAE Systems in December 2006 as president of its Land & Armaments Operating Group. In that role, Hudson led the acquisition of Armor Holdings Inc. — effectively doubling the size of the group’s land systems operations. In her new role, Hudson faces a new crop of challenges. In 2009, BAE slipped as the eighth largest supplier to the Pentagon; it was the fourth largest in 2008. Hudson plans to get BAE’s U.S. operations back up through acquisitions and a focus on new markets such as intelligence and cybersecurity, energy, power management, services, and support of equipment for U.S. and other global markets. Having overseen triple level growth in her previous role, can Hudson now steer entire U.S. operations toward similar growth? Career history: Kundra most recently served as CTO for the District of Columbia and before that, Virginia’s Assistant Secretary of Commerce and Technology. Alma mater: Received his bachelor’s in psychology from the University of Maryland, College Park; and a master’s degree in information technology from the University of Maryland University College. Personal: Raised in Tanzania, Kundra speaks Swahili, watches 24, and counts Great Expectations by Charles Dickens as his favorite book. Kundra also recently moved to Arlington, Va., with his wife. As the nation’s first-ever chief information officer, Vivek Kundra is increasing government transparency and efficiency, as well as paving the way for cutting-edge innovation by the federal government. If this year is any indication, he’s well on his way. In late May, Kundra led the launch of Data.gov, an information repository that offers the public a look at any government data that is not private, or restricted by national security concerns. By June, Kundra launched an IT dashboard to track government-funded IT projects — a step toward streamlining the government’s annual budget of $71 billion for federal IT projects. Less than a month later, the dashboard led the Department of Veterans Affairs to suspend 45 projects, with a combined budget of $200 million, deemed either inefficient or over budget. Kundra also kept up the call for innovation. Leveraging the best in open source and cloud computing — two technology trailblazers he backs — Kundra unveiled apps.gov, an online storefront intended to give agencies easier access to cloud-based computing services. By October, Kundra unveiled plans for a cybersecurity dashboard. On Tuesday, Dec. 8, Kundra joined Federal CTO Aneesh Chopra in announcing via a webcast the Open Government Directive to move federal agencies toward greater transparency. Will Kundra keep the pace of transparency going into 2010? 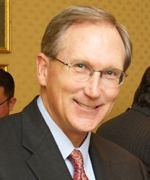 Career history: From 1992 to 1996, served as director of the National Security Agency; in 1996, McConnell retired as a vice admiral from the U.S. Navy and joined Booz Allen Hamilton. From 2007 to 2009, McConnell served as the Director of National Intelligence, before re-joining Booz Allen. Alma mater: Holds a master’s in public administration from George Washington University and is a graduate of the National Defense University and the National Defense Intelligence College; also holds a bachelor’s in economics from Furman University. Personal: A native of Greenville, S.C., McConnell has four children and six grandchildren. “Cybersecurity is the soft underbelly of this country.” So said outgoing National Intelligence Director Mike McConnell to reporters in mid-January of 2009. Since then, McConnell has continued to lead the discussion of cybersecurity and other hot button issues as executive vice president of Booz Allen, which he rejoined in early 2009. (McConnell last served at the company following his retirement from the U.S. Navy in 1996 as a vice admiral.) Over the course of the year, McConnell has been pleading the case for increased cybersecurity — as he did, recently, on “60 Minutes.” McConnell has stressed that the private sector’s help is essential to staving off future cyber threats. The first step, he says, is for the government to assume a larger role in creating a defense system. Partnership with the private sector would be critical to that system’s success, he adds. The moment to act is now. McConnell has stated it’s only a matter of “when” U.S. financial institutions and power grids will be targeted by extremist groups. Will the government heed McConnell’s warning for a stronger defense system, coupled with private sector partnership, before it’s too late? Career history: Napolitano was first elected governor of Arizona in 2002, and then in 2006. She also served as Arizona Attorney General from 1999 to 2002. Alma mater: Napolitano received her J.D. from University of Virginia School of Law. Personal: Napolitano reportedly enjoys tennis, whitewater rafting, and hiking. She’s the third U.S. Secretary of Homeland Security and the Obama administration’s highest-ranking advocate for cybersecurity. Janet Napolitano’s role in spearheading U.S. cybersecurity policy quickly became apparent in October 2009 when President Obama gave the Department of Homeland Security the green light to hire up to 1,000 cybersecurity professionals over the next three years. Napolitano will oversee the hiring of cyber professionals in areas such as risk and strategic analysis, vulnerability detection, incident response, intelligence, and network and systems engineering. At the same time, Napolitano has stressed that the government can’t go it alone. “Effective cybersecurity requires all partners — individuals, communities, government entities, and the private sector — to work together to protect our networks and strengthen our cyber resiliency,” said Napolitano, this past fall. “This new hiring authority will enable DHS to recruit the best cyber analysts, developers and engineers in the world to serve their country by leading the nation’s defenses against cyber threats.” Collaboration between industry and government sounds good on paper. But at a time of heated competition for cyber talent between both parties, how effective will Napolitano’s call for cybersecurity collaboration be in 2010? 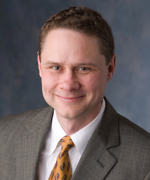 Career history: Prior to joining Northrop Grumman in 2000, Mr. Parker was managing partner of PricewaterhouseCoopers’ Washington consulting practice. Parker also served 20 years in the U.S. Navy. Alma mater: Parker has a master’s degree in International Relations from Miami University (Ohio) and a bachelor’s in electrical engineering from Auburn University. Personal: Parker is an avid rosarian. If any one issue dominated industry headlines in 2009, organizational conflict of interest was certainly it. Wood Parker helped lead the discussion. As vice president and general manager of Northrop Grumman’s Advisory Services Division (TASC), Parker worked with both customers and members of Congress to forge better understanding of OCI. The trigger, of course, was McCain-Levin legislation introduced in February 2009 to reform the weapon systems acquisition process; it outlined a far more restrictive government policy on OCI than many had anticipated. Following the bill’s introduction, Parker worked with members of Congress to discuss the firewalls Northrop Grumman already had in place that allowed TASC to function independently. Ultimately, those discussions led Northrop Grumman to divest TASC for $1.65 billion. But divestiture doesn’t spell the end for TASC — just the beginning. As the company spearheads a new branding campaign, word has it that Parker is leading TASC toward new business opportunities that had traditionally been off-limits under current OCI regulations. What new opportunities will Parker help a newly- independent TASC seize in 2010? Current: President and chief operating officer, ManTech International Corp.
Career history: Prior served as president of SAIC’s intelligence, security and technology group from 2004 to 2007, then chief operating officer until June 2009. Alma mater: BS, Loyola Marymount University; MA, Georgetown University. Personal: Lives in Old Town Alexandria with his wife, Mary Kay, and his dog, Toby; has two daughters. Prior personally drove cross-country from San Diego to Washington, DC, when he took his new role at ManTech. 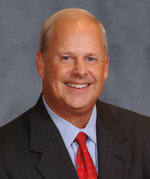 In June, Larry Prior became president and COO of Fairfax-based ManTech, a top federal prime contractor with approximately 8,000 employees and annual revenues of about $2 billion. Expectations are high for Prior, who most previously served as chief operating officer of SAIC, to help ManTech seize future opportunities in cybersecurity, intelligence, and large support programs — key areas of growth that would enhance ManTech’s standing among any potential acquirer. Under Prior’s watch, ManTech is continuing on that solid growth trajectory. Recently, it was awarded the follow-on effort for the A-Space program from the Defense Intelligence Agency. ManTech recently joined six companies awarded a blanket purchase agreement from the U.S. Department of Agriculture to provide cybersecurity support. Other strategic wins include being awarded an IDIQ contract from the Department of Homeland Security to provide management support services to its critical infrastructure and key resources program; a contract to provide the Homeland Security Department’s National Protection and Programs Directorate Office of Infrastructure Protection with training, contingency planning and incident response support; and a recompete for the Reliability Engineering Support Services contract from the NASA Jet Propulsion Laboratory. What’s next? “There will be a generational change and consolidations in our industry,” said Prior recently. “It’s a turning point for national security.” Will Prior help ManTech seize it? Career history: Before joining Booz Allen, Shrader was the National Director of Advanced Systems Planning for Western Union. Alma mater: Shrader received his bachelor’s in electrical engineering from the University of Pennsylvania, and his M.S. and Ph.D. degrees in electrical engineering from the University of Illinois. Personal: Shrader is a longtime fan of the Washington Capitals. He’s been credited with bringing a near century-old organization into a new age of relevance. As chairman, CEO, and president of Booz Allen Hamilton, Dr. Ralph Shrader helped lead the largest buyout ever of a government contractor. In Summer 2008, the commercial arm of Booz Allen Hamilton officially split from the consulting firm to form Booz & Co. Its government business, meanwhile, was sold to a private equity group for $2.54 billion. Since then, Shrader has continued to expand the U.S. government business’s reach into strategic areas: defense and national security, homeland security, transportation, and healthcare IT, among others. So what’s next for this consulting giant, which generates over $4 billion in annual revenue and has more than 20,000 employees? Looking to 2010, ExecutiveBiz is placing its bets on Booz Allen Hamilton going public — making Ralph Shrader one CEO to watch over the year ahead. Current: SRA President and CEO. 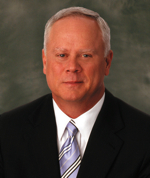 Career history: Sloane began his career with General Electric Aerospace in 1984, after retiring from the military. Alma mater: Sloane holds bachelor’s and master’s degrees from Barry University and Pepperdine University; also received a doctorate in the Executive Doctor of Management Program at Case Western Reserve University. Personal: Sloane is a pilot and flies his own plane. As Stan Sloane enters his third year as president and CEO of SRA International, he’s navigating a tough economic climate to deliver solid business execution and cost management on behalf the company. SRA’s recently released financial results for the first quarter of fiscal year 2010 are proof of that. Under Sloane’s watch, revenue now stands at $417 million — up 6.4 percent from $392.4 million in the September 2008 quarter. Meanwhile, organic revenue growth stands at a solid 8.4 percent, and new business won in the first quarter has a potential value of $933 million — a company record. Sloane has helped SRA reach these benchmarks while maintaining almost zero net debt on its balance sheet. Beyond the halls of SRA, Sloane has been sharing his thought leadership on key industry issues, among them bid protest reforms and cybersecurity. This past year, for example, Sloane was one of the notable voices calling on the White House to appoint a cybersecurity czar with due speed. Looking ahead, Sloane has assembled a world-class team to bring new capabilities, in key areas: defense and intelligence, aviation, healthcare IT, and cybersecurity. Career history: Zients past titles include CEO of Advisory Board Company, management consultant, and entrepreneur. Alma mater: Zients received his bachelor’s of science from Duke University. Personal: A native of Kensington, Md., Zients and his wife, Mary, have four children. In April 2009, President Obama named Jeffrey Zients deputy director of the Office of Management and Budget and the country’s first Federal Chief Performance Officer. The newly created post was intended to help cut waste and improve government efficiency. It’s a role well-suited for Zients, a management consultant and entrepreneur who ran two firms acclaimed for their research-based performance measures. Following his Senate confirmation in June, Zients spent his first 100 days on a listening tour of federal agencies. Zients soon concluded that outdated information technology systems are the biggest impediment to strengthening government performance. “IT has been the major driver of the productivity gains and the service quality improvements in the private sector over the last decade,” said Zients recently, adding, “From what I’ve seen, the government has missed out. Innovations that have spurred economic gains in the consumer space have not translated into productivity gains in the public sector.” Among his contracting reform efforts, Zients is calling for the government to buy in bulk. That move would decrease procurement costs and, as Federal Times reports, raise the standard for products such as software with better built-in cybersecurity. How will Zients help flex the government’s purchasing power in 2010? Who do you think will be driving change in and around government contracting in 2010? Tell us what you think here.